Pair open seat belt pad. Normal size around a 1ft long. 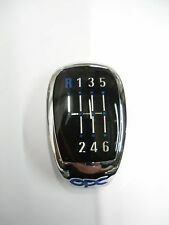 GENUINE VAUXHALL / OPEL OPC CHROME GEAR LEVER KNOB INSERT Part Number: 93185736 Compatibility: Astra H (2004 - 2010) Vectra C (2002 - 2008) Signum Z03 (2003 - 2008) Meriva (2003 - ) NOTE: The ebay compatibility table above is intended for guidance purposes only. Please check part numbers and/ or contact us with your vehicle registration or chassis number to confirm compatibility. 1 Year Vauxhall Warranty Included Thanks!. 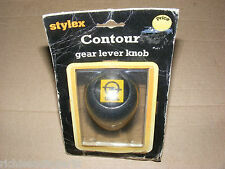 Stylex Contour gear lever knob with Opel logo on the top. This is NOS. Looks like it will cut it's own thread into the plastic. This is made by Stylex. Part No GLK 3. Made from black plastic. Part Number - 13443876. Genuine Opel Door Sill Panel Moulding Kit. 2015- Onwards. Kit Comprises Of x2 . New arrivals. You won't find cheaper prices anywhere! High quality products at amazing prices. Part Number - 13443875. 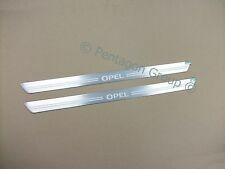 Genuine Opel Door Sill Panel Moulding Kit. 2015- Onwards. Kit Comprises Of x2 . New arrivals. You won't find cheaper prices anywhere! High quality products at amazing prices. HALF GREY AND BLACK. 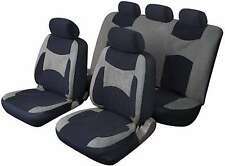 FULL SET OF GREY/BLACK SEAT COVERS. UNIVERSAL SIZE. PROVISIONS FOR SIDE AIRBAGS. Hello and welcome to the sale of this Opel Manta B/C steering rack. This rack came in a bundle of parts and we were told that the rack is new (which it does look & feel) the track rod ends are also brand new but the boots are damaged due to being in storage for so long. A really nice and original item. Item can be collected from Burnley, Lancashire otherwise it’s courier. We can post overseas at an extra cost and we have many other Manta items. Thanks for looking. THIS COVER WILL FIT OPEL MANTA A. OPEL MANTA A. HANDCRAFTED WITH TOP GRAIN LEATHER. Motorcycle seat strap cover. Instructions and accessories ( THREAD AND NEEDLE ) included. 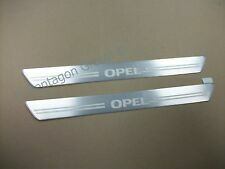 THIS COVER WILL FIT OPEL MANTA A. OPEL MANTA A. Motorcycle seat strap cover. YOU WILL HAVE TO STITCH THIS COVER BY YOURSELF. HANDCRAFTED WITH TOP GRAIN LEATHER. 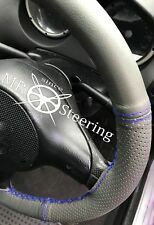 GENUINE VAUXHALL / OPEL OPC STEERING WHEEL COVER IN PIANO BLACK Part Number: 93193199 Compatibility: ASTRA H (2004 - 2010) VECTRA C (2002 - 2008) SIGNUM (2003 - 2008) ZAFIRA B (2005 - ) NOTE: The ebay compatibility table above is intended for guidance purposes only. Please check part numbers and/ or contact us with your vehicle registration or chassis number to confirm compatibility. 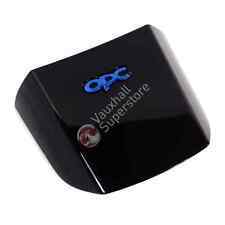 1 Year Vauxhall Warranty Included Thanks!. THIS COVER WILL FIT OPEL MANTA A. OPEL MANTA A. STANDARD VANGUARD. Motorcycle seat strap cover. YOU WILL HAVE TO STITCH THIS COVER BY YOURSELF. HANDCRAFTED WITH TOP GRAIN LEATHER. 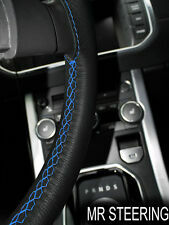 Black Gear Stick Shift Knob for Opel Astra H / Astra III / Astra MK5. with shift numbers from 1 to 5 and R. Very elegant and stylish look! THIS COVER WILL FIT OPEL MANTA A. OPEL MANTA A. HANDCRAFTED WITH TOP GRAIN LEATHER. FROM 1970 - 1975. Motorcycle seat strap cover. 100 % Italian leather. Strong>FULL SET OF RED/BLACK SEAT COVERS. UNIVERSAL SIZE. HALF RED AND BLACK. PROVISIONS FOR SIDE AIRBAGS. THIS COVER WILL FIT OPEL MANTA A. OPEL MANTA A. HANDCRAFTED WITH TOP GRAIN LEATHER. Motorcycle seat strap cover. FROM 1970 - 1975. Instructions and accessories ( THREAD AND NEEDLE ) included.